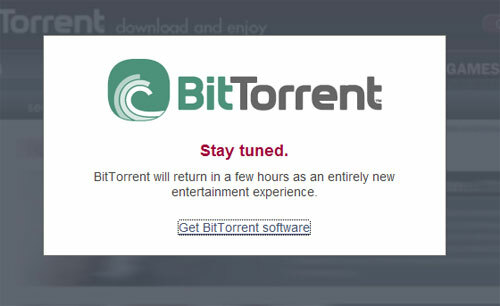 BitTorrent Inc has released the final details of their long awaited video store. The store itself will go live this Monday, and will offer movie rentals at $2.99 - $3.99, and "download to own" TV shows and music videos for $1.99. The "BitTorrent Entertainment Network" will start off with 5000+ titles in their collection, including movies such as Superman Returns and An Inconvenient Truth, and the popular TV show 24. BitTorrent will sell content from Warner Bros, 20th Century Fox, MTV Networks, Paramount Pictures, Lions Gate, Palm Pictures, and their latest partner MGM. All videos will be high quality, and encoded with the best possible codecs according to BitTorrent Inc. CEO Bram Cohen, and the downloads are expected to be much faster than most competitive services. Ironically, pirated copies of some of the titles in their store can also be downloaded illegally through the BitTorrent.com search engine, that indexes BitTorrent trackers like The Pirate Bay. Marc Brandon, Vice President Anti-Piracy Internet Operations at Warner Bros., one of the content partners of BitTorrent Inc, told TorrentFreak that it is virtually impossible to make sure pirated copies don’t slip through, but that both Warner and BitTorrent Inc are trying hard to remove these unauthorized DVDrips. And indeed, over the past month more and more illegal DVDrips disappeared from the search results. The BitTorrent store will use Windows DRM to infect protect the movies and TV shows. This means that Mac & Linux users wont be able to use the service. Bram Cohen said before that the DRM issue is causing an awful lot of headaches, but that most of their content partners are insisting on DRM, at least for now. BitTorrent Inc president and co-founder, Ashwin Navin is not a fan of DRM either, and is a bit more outspoken about it. He said that DRM is “a time bomb waiting to happen,” and that it will inspire people to pirate content. Personally, I think Navin’s right, piracy wont be defeated that easily, and online video stores like the “BitTorrent Entertainment Network” will only be successful if they offer a product that is at least equal to its pirated equivalent. At this time, only DRM-free content that’s “download to own” (versus rentals/subscriptions) seems to have a chance at competing with piracy. c There are 18 comments. Add yours?